There’s a reason why more and more businesses are turning to high speed doors to serve their premises instead of more traditional entrances. As we’ll see, they offer a lot of benefits – in addition to looking cool they have a lot of practical advantages! Having a high speed door allows you to protect your business from temperature changes much more effectively than a traditional door. This is particularly vital in the food industry, where products need to be kept cool, or in warehouses storing chemicals that need to be kept at a regular temperature. Equally, a high speed door can greatly reduce heat loss – meaning it’s good for keeping your staff warm as well as your products! One of the industries for which high speed doors are most important is the emergency services. With an optimal opening time of just over 0.5 m/s, our roll-up and fold-up doors mean police, fire engines and ambulances can respond to calls and be on the scene as quickly as possible. Of course, almost as importantly, our doors can also provide a speedy exit as soon as that clocks hits 5pm. No more pile-ups as everyone sprints for the exit! Hopefully, situations in which you need to suddenly shut the doors for security reasons will be few and far between. However, should such a situation arise you want to have the comfort of knowing your doors will shut as quickly as possible to reduce any threat to your staff and put up a protective barrier in front of your business. High speed doors can also act as highly effective security guards against another type of intruder: bugs. Being able to quickly prevent flies, dirt and even bigger pests such as rodents from sneaking into your business is vital in the food industry and others that require products to be well-protected. High speed doors also provide protection against the elements. Our doors offer strong wind resistance as well as resistance against draughts and air pressure. Steel reinforcement tubes allow for protection against high wind pressures – our high speed fold-up doors offer resistance against wind speeds of 80km/h. Here at A&C Maintenance we offer long term maintenance plans to keep your door in top working condition. We’ve been providing maintenance on doors for over 45 years, so we’ve got experience fixing every kind of problem! 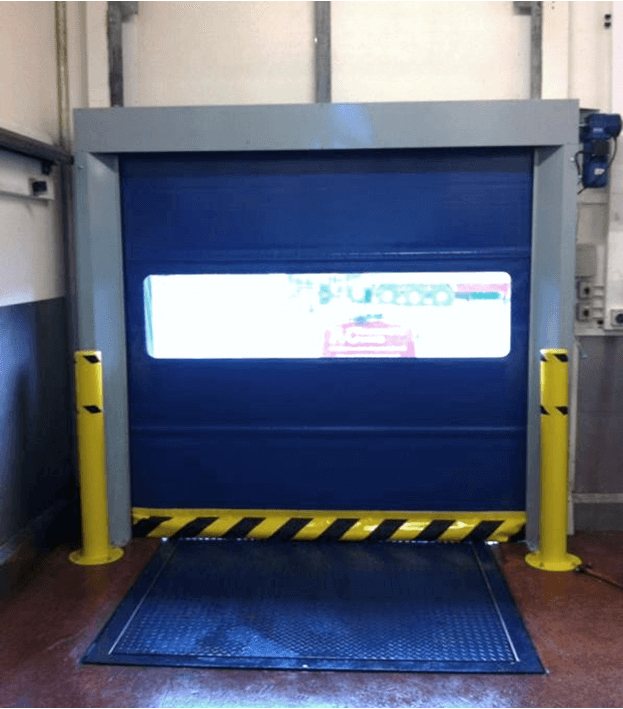 Our headquarters in Sheffield near the motorway mean that we can be on the scene to carry out maintenance very quickly – particularly if you’re in Sheffield or Rotherham – but our high speed roll-up door even comes with a self-repairing option! Check out our high speed doors for more information, or contact us on 01909 568 010 for a free quote. 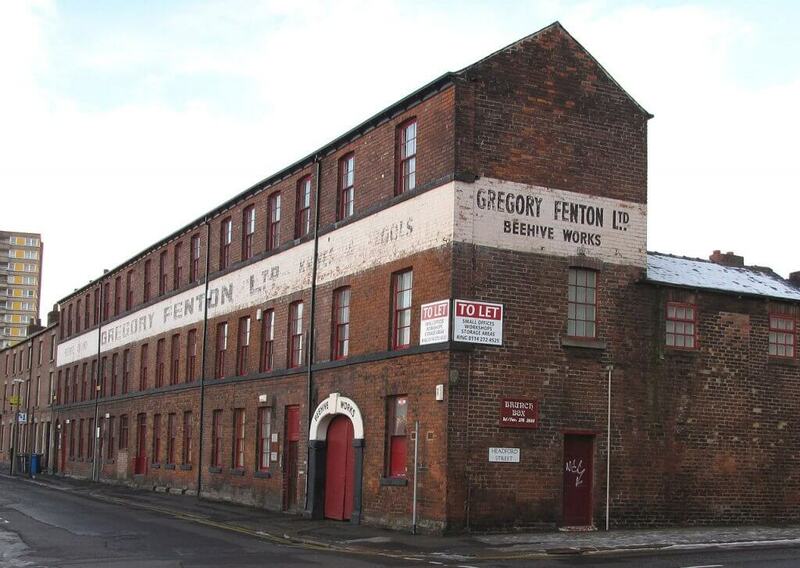 If your business is situated within a listed building then the external security options can often be limited by planning permissions. However, just because you can’t have a standard roller shutter set-up doesn’t mean you can’t protect your business. We look at how you can keep your premises secure despite restrictions. 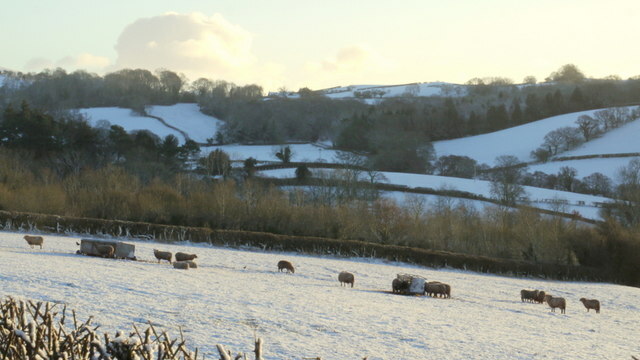 When it comes to the cold month’s agricultural and farming premises feel the strain more than any other. The countryside location leaves farm buildings at the full mercy of the elements and in the harshest snowy conditions you can find yourself cut off from much of the civilised world. In order for you to keep your business and your land maintained throughout winter you need an industrial door system that you can rely on and a company that will keep them operational. One of the first considerations that you need to make when deciding whether your industrial doors are up to the task is looking at how well it will protect your livestock and machinery from the weather. You should choose a door that is capable of handling heavy winds and remains fully functional in the snow. You should also consider how your chosen door integrates with your buildings architecture. What works for a stone barn may not be suitable for a corrugated steel warehouse. It’s one thing having an industrial door system that will protect your business from the elements, but it also needs to grant convenient access when you need it. Choosing a system that is suitable for your needs is important and it’s why we’ll offer you advice at every stage. We’ll analyse a range of practicalities to find a door solution that offers you maximum convenience, whilst staying secure and protected against the elements. Agricultural businesses and farms need to be able to function around the clock whatever the weather. That’s why it’s imperative that your security doors are functioning at all times. We have a range of periodic maintenance packages that will help prevent faults that will cause you major issues in the future. We also offer around the clock shutter door repair that will ensure that a faulty door won’t hinder your business or your animals. With over 45 years’ experience in the industry A&C Maintenance can find an industrial door that works for your business. We’ve helped supply a range of systems to many agricultural premises and know the unique challenges that they face. Contact us today on 01909 568 010 to find out how we can help keep your farm functional, your livestock safe and your machinery secure. Should Your Business Be Protected By Roller Shutters? Regardless of what kind of business you own, it is always important to put its safety first. Even if you own a garage, a hairdressers, or just a general high street shop, you will be able to benefit from having roller shutters installed. From the substantial extra security to the level of control they give you, there are a wide range of ways in which roller shutters can benefit your business. Security is the biggest reason why your business needs roller shutters. If you run a garage or a bank for example, the contents of your business will be extremely valuable. Burglars always target a shop’s windows and doors, so having roller shutters will protect them from harm. In most cases, burglars will even be put off just by the sight of the shutters and move along. If you own a high street shop, then you will know how important it is that you are protected from vandalism. After all, your shop front is the first impression potential customer’s get of your business. The last thing you want is for the windows to be broken or for graffiti to be all over the door. Our roller shutter doors in Rotherham will help you keep your shop front protected and secure so then your business remains presentable at all times. If you own a shop that has large windows at the front, you may find the lack of privacy a little irritating. If you own a hairdressers for example, you will possibly have quite large windows that give passers by a clear view inside. Instead of going through the trouble of removing the windows and installing smaller ones, you can simply have our roller shutters installed. Then you will be able to have the privacy you want whenever you want it. If you decide that you want our quality insulated roller shutters in Sheffield, then you have the added benefit of being able to control the temperature in the workplace. This is something that will be of particular importance to you if your business has large windows that let in a lot of sunlight. If you work in a place that can get warm quickly, the last thing you want is your employees feeling irritable and lacking energy. Our insulated roller shutters will allow you to keep the temperature in your workplace at a comfortable level. Here at A&C Maintenance, we take great pride in our 45 years of experience providing the best roller shutters to a wide range of businesses. Our roller shutters maintenance services are also considered to be among the best in the business. If you are interested in getting a free quote from us, call us on 01909 568 010 or fill out our contact form. Although criminal damage statistics suggest that shop front vandalism is continuing to decline, it’s important that your business protects itself against unneeded damage. National crime statistics suggest that 2015 saw a 6% decrease in vandalism, but there were still 1.3 million incidents across the UK. Make sure your business is not part of these statistics in 2016 by improving your shop security. How will roller shutters protect your business? There are a range of dangers that every business faces from vandals. Whether you’re situated in a busy town centre or on a quiet street corner there are a range of things that businesses have to protect themselves from. Cleaning graffiti off a shop front is no easy task, but shutters can help protect you. Sure, you might get graffiti on your roller shutters, but the clean-up is far more straightforward than cleaning paint from glass. Once the shutters are rolled up your customers won’t know any different. Whether your shop sells high value stock or you’re a simple café or hairdressers it always pays to protect your windows and shop front from graffiti. Whether from vandals or thieves, there’s only one sure fire way to protect your windows from being smashed and that’s with roller shutters. In terms of broken glass, the cost of broken window panes can soon add up so protecting your glass is worthwhile. Roller shutters will also not only help keep your stock safe, but they’ll also improve your insurance premiums. Shop fronts near local night spots can often come under attack at the weekend. If your shop is near bars, nightclubs or takeaways you’ll probably be all too accustomed with having to clean up the remains of the weekend on a Monday morning. One way to prevent this problem is with roller shutters. Protecting your glistening shop front and improve your insurance premiums with a new shutter system. We offer a range of shutters which also make it possible to see the window display when the shop is closed. Here at A&C Maintenance we have over 45 years of experience in protecting businesses. Browse the roller shutters that A&C Maintenance offer across the site to find one suitable for you. We also offer roller shutter maintenance plans and can recommend other security systems for your business. For more information on any of the services that A&C Maintenance offer or to gain a free quote, contact us today on 01909 568 010. Whether your business or home has a vertical or horizontal electric gate it’s imperative that it’s maintained. Heavy electric gates with strong motors can cause severe injuries or even death without addressing maintenance issues as they arise. Figures from the Gate Safe charity show that 18 deaths have occurred since 2009 as the result of mechanical faults with electric gates – the problem is a serious one. There are a number of tell-tale signs that highlight the need for electric gate repairs. Should you notice any of the signs then you should address the problem immediately. Not only could the faults be an extreme hazard to public and personal safety, but delaying repairs could also increase the damage and cost more money. Keep an eye out for the following signs. Rust on any of the gate could be a sign that the gate is beginning to degrade. This can be a real safety hazard, in particular if the rust is located near hinges or mechanical parts of the gate. Rusting components increases the likelihood of parts shearing off and working incorrectly. You can prevent rust by painting gates, but any rust that has already surfaced on a vital component can be addressed with a replacement. 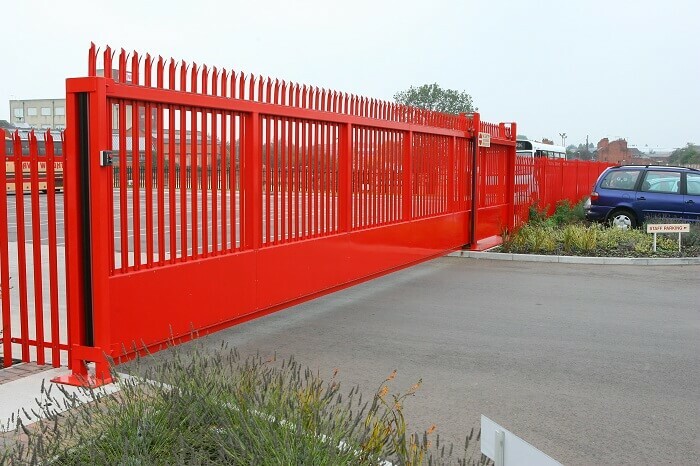 If you begin to notice a rattling on your gate, either when it’s closing or when it’s stationary then you should ask an engineer to take a look. Rattling on a gate may mean that certain components require tightening. If parts are loose a gate may close quicker than it should which will create a safety hazard and damage your gate. If the electric gate is stiff when it closes then this may also indicate a fault with the mechanism. You will notice a stiff gate if it squeaks, indicating unwanted friction somewhere in the mechanism. This will put more strain on the motor and reduce its overall lifespan. Has the gate maintained its structure? There may be loose posts that are making it easier or harder for the electric gate to close. Horizontal electric gates might also be missing their resting post causing them to support their own weight and increase their range of movement. This will put extra stress on the joints and hinges and create worse damage to the gate over time. Here at A&C Maintenance we have over 45 years of experience in electric gate repairs – so we’ve come across every type of problem there is! We carry out electric gate repairs in Sheffield and across the UK. From repairing and replacing faulty components to dismantling old gates and fitting new ones, our fully-certified engineers can take control. To arrange repairs for your electric gate, call 01909 568 010 today, or fill out our enquiry form. When it comes to roller shutter maintenance there is a range of measures that your business can take to help ensure your doors don’t fail. From being diligent in noticing signs of wear and tear, to getting the professionals in on a regular basis, these tips from your Sheffield roller shutter experts will help your business stay functional. One of the best ways to keep your business’s roller shutters functional is to choose the correct one from the outset. A&C Maintenance stock and service a range of shutters for a variety of needs. We will always use our long line of experience to advise on the best roller shutter system for your business. Regular periodic maintenance can help diagnose issues with your roller shutters before they become a problem. Our expert engineers will be able to test the function of individual components and use their expertise to identify those that are failing before it’s too late. You can choose a range of service plans based on how much your door is used. We understand the rigours of running a functional business, but treating your roller shutter with respect will undoubtedly expand its lifespan. Ensuring that you don’t ever force a shutter down will keep the mechanism protected, whilst you should also be wary of banging your roller shutter with any vehicles or heavy trollies. Some roller shutter components last longer than others. If a part fails then it can affect the functionality of the entire shutter system and potentially have an impact on your business. Our experts can identify a failing part before it impacts a roller shutter’s function so that you can have a spare fitted before it’s too late. When it comes to keeping mechanical fixtures in good order there are a number of things you can do to improve longevity. Keeping mechanical components clean is a good place to start. You can keep surfaces clear of dust and ensure pests, like birds and insects, don’t cause any problems. When it comes to roller shutters in Sheffield, A&C Maintenance are one of the leading names. They offer a range of maintenance contracts that will help keep your roller shutters in service without any inconvenience or negative impact on business continuity. If your roller shutters in Sheffield do happen to fail, then rest assured the emergency support that we offer will also help repair the door whilst minimising inconvenience. For more information contact 01909 568010.